Positive self-talk can be used when you want to give up on your goal! FOCUS Keep your eyes and brain focused on one spot in front of you while balancing on one foot. Practice daily. BREATHE Breathe fresh oxygen in through your nose and deep into your lungs. EXHALE SLOWLY. The power to calm your nervous system is in the slow exhale! Feel and hear the breath flow through your body for 10-20 breaths. Add stretches. Practice daily. POSITIVE SELF-TALK Choose a powerful phrase and say it quietly in your head when doubt knocks at the door. Practice daily. Combine movement when teaching these 3 testing tools so they can feel it in their body! 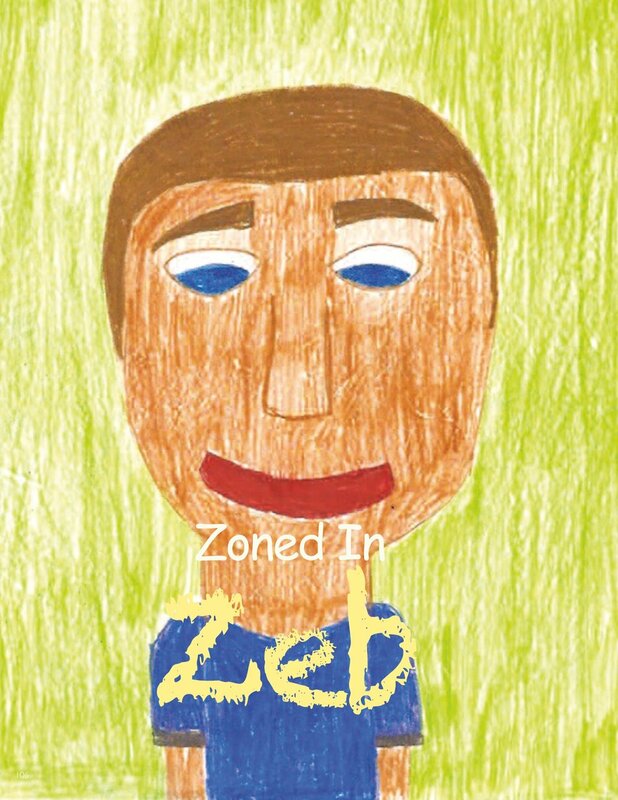 Z- ZONED IN ZEB from Powerful You teaches kids to “get in the zone!”.